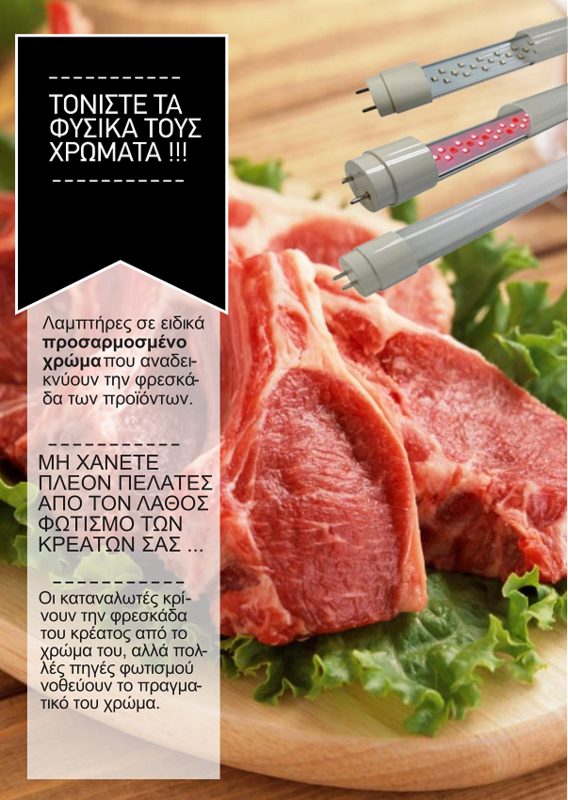 €17.00-17 % €14.16 20% VAT incl. 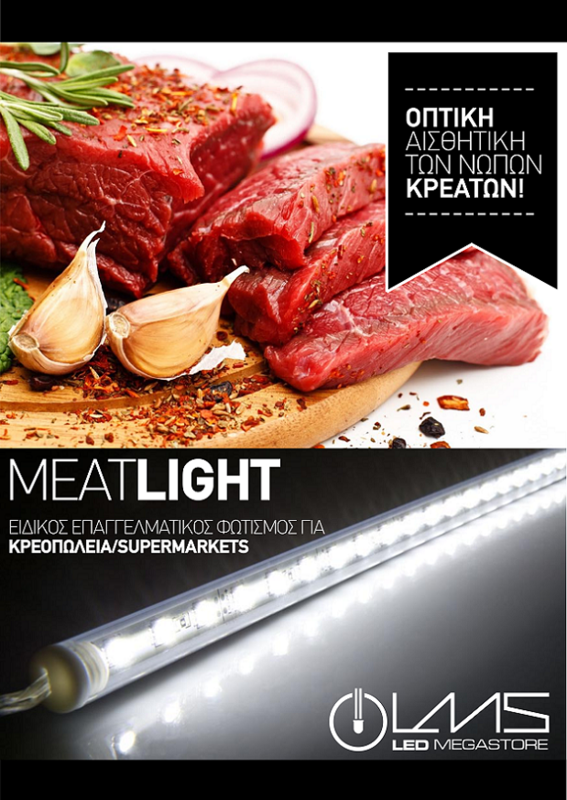 The lamps in a special color spectrum emphasize the freshness of the products. 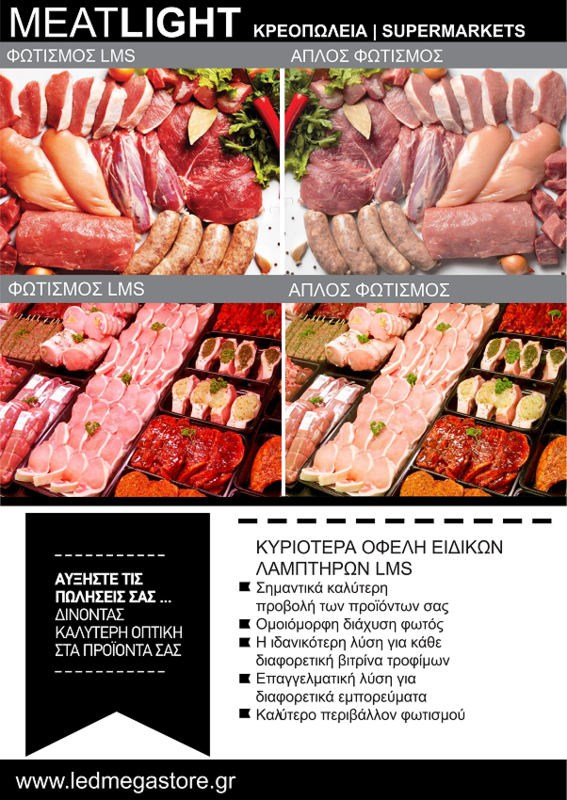 Most consumers judge the freshness of the products by their color, but many light sources distort the real color. 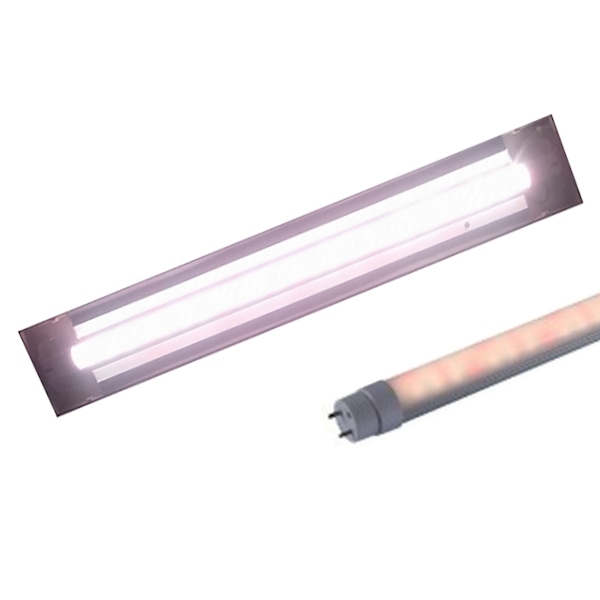 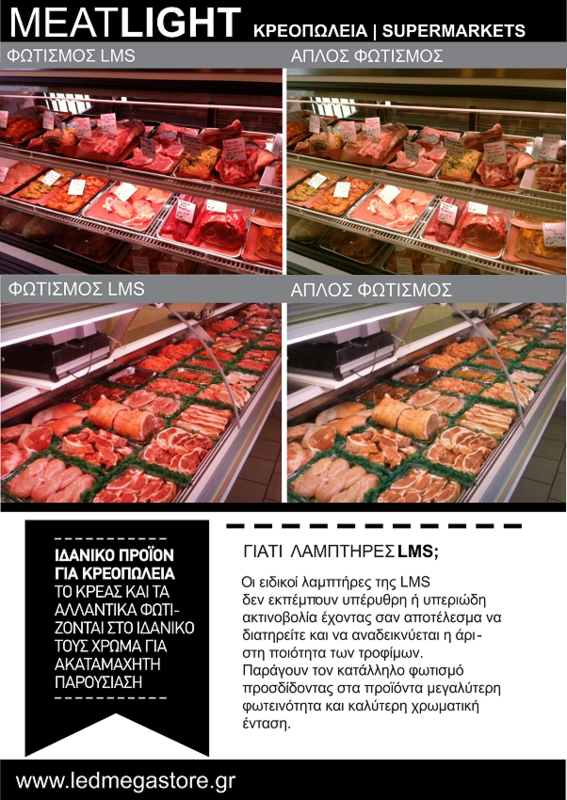 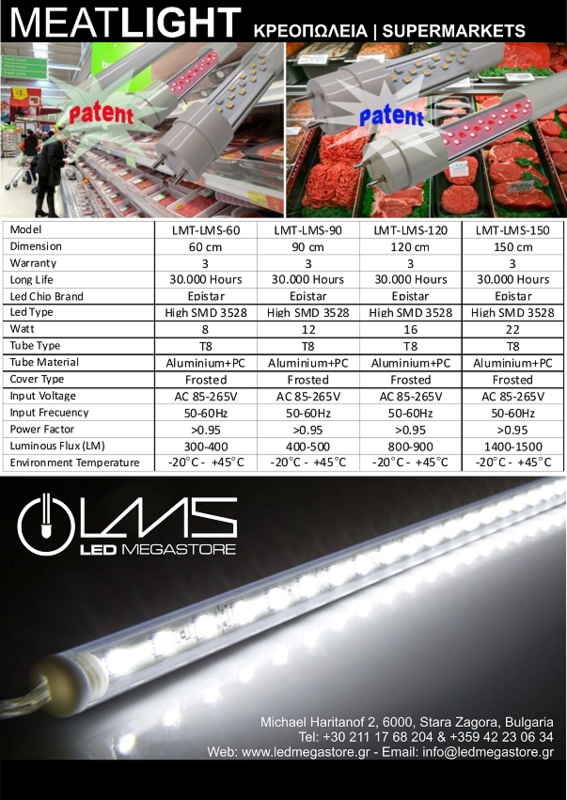 IMPORTANT: MEAT LIGHT TUBE LMS lamps do not make the color of the meat too pink or too much red as the other commercial lamps that affect the meat!